FIRST THINGS FIRST. 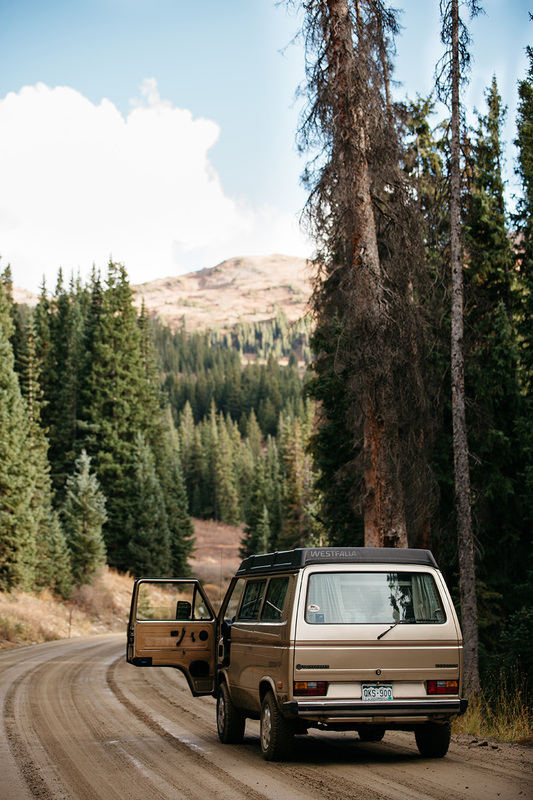 Tell me this road trip doesn't look like an adventure waiting to happen?! It reminds me of Pete's Dragon, which I recently watched and fell in love with! Anyways, past several years there has always been a camping post leading up to Memorial Day weekend, and this year is no different. One thing I've never touch on though is the preparation process, which is pretty intense for me. I love to stick with my routine so that as few items are forget as possible. What does that mean? LISTS. 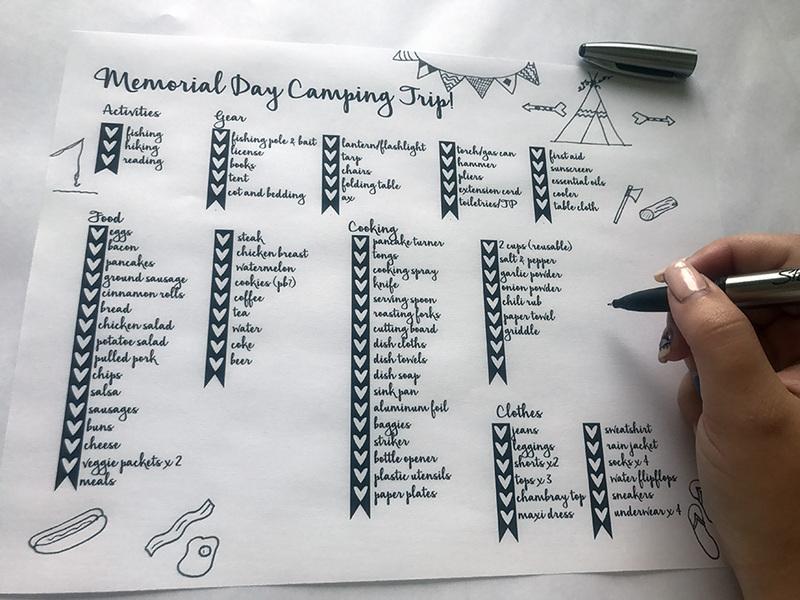 Making lists is my favorite, so of course, I will now make a list of my camping lists. What are you planning to do this weekend? It doesn't need to be really specific with days and times, but you should think of all the things you would like to do. How active or inactive you are during your trip can alter what you wear and how much meal prep to do. Now that you have your food planned, you can make your list of kitchen equipment. You've probably decided how you plan to cook your foods, which makes it easy to determine large equipment like pots and pans, grills, etc. Be sure to think of each meal and what kind of tools/utensils you will need. I have no idea how many times I've forgotten a can opener or a pancake turner. Bringing beer or wine? Don't forget the bottle openers. Also account for extra paper towels, baggies, and dish cloths. Here's a nice kitchen checklist along with some other great ideas to remember! Use one of many Pinterest camping lists, if you're not sure what to bring. I've posted several lists myself. But mostly I wanted to talk about packing the car. This may seem like a no-brainer, but make sure to pack chronologically for how you will set up camp. Bedding and clothes in first, kitchen and food next, then tables and chairs, finished off with your tent, canopies, and tarps. That way when unloading the car, start on the biggest tasks first, then the small stuff. We always pack our food supplies in large totes that way we can easily set them in the car at night if we are concerned about critters poking their nose around! Don't forget to bring a rainy day activity like cards, magazines, or a board game. Since weather/climate is different everywhere, I can't really advise you on what to pack. But I do know that you probably need less than you think. Consider layers for day time, a jacket or sweatshirt for evening, a raincoat or poncho, and a pair of shoes you can wear to shower. And if there's even a small chance of rain, pack extra socks. Wet socks just sounds like a nightmare, right?! Visit my post earlier this week if you want to see what I'm packing. I hope you found this info helpful! If you have gone camping before, what was the most important thing you forgot?